Finding jewellery is not an easy task, in fact, it can also be stressful. It gets even more stressful when you have to buy jewellery for your girlfriend, wife, mother, sister, or the girl you are trying to woo. There’s so much to think about, cost, likes, dislikes, colour and shape preference and so on. The buying process can be very overwhelming, but with these few tips, you can actually impress a girl, and score huge brownie points. If you are planning on buying necklaces for the woman in your life, decide whether you want to get her a sleek necklace or something that makes a loud statement. You might also want to consider the length of the necklace, if she likes to wear short necklaces, it is best to purchase a necklace with a length of 16-18 inches. For women who prefer long necklaces, invest in one that is about 20-21 inches long. If she is into astrology, you might want to consider buying her jewellery with gems that match her sun sign or her birth month. This might seem a bit strange, but in fact, it is a good idea to buy her casual jewellery. It will not burn a hole in your wallet and it is a practical gifting option. She can wear casual jewellery to work, when she’s out with friends, or when she’s shopping with her girlfriends. The best part about casual jewellery is that it is available in a variety of designs. There’s plenty to choose from and if you search well, you might find a piece of jewellery in a unique design. If you plan on popping the question to your girlfriend or a woman whom you are madly in love with, the perfect gift to get her is a ring. Rings come in boxes and you have plenty of opportunities to get creative and decorate the box with small notes and decor that she loves. They’re also available in a variety of styles, metals, and colours. Bracelets are a good idea for gifts, especially for women. They look smart, are available in a variety of shapes, designs, and colours, and she’ll get good compliments if you buy her an awesome bracelet. Most bracelets match outfits well with a variety of outfits, so she’ll be able to sport them with a variety of outfits. If the woman you are buying jewellery for loves ornaments or is someone who is into astrology, and symbols mean a lot to her, try buying jewellery with ornaments. You could pick a ring with a special stone, necklaces with astrological pendants, or pendants that have the symbols of elements of nature. 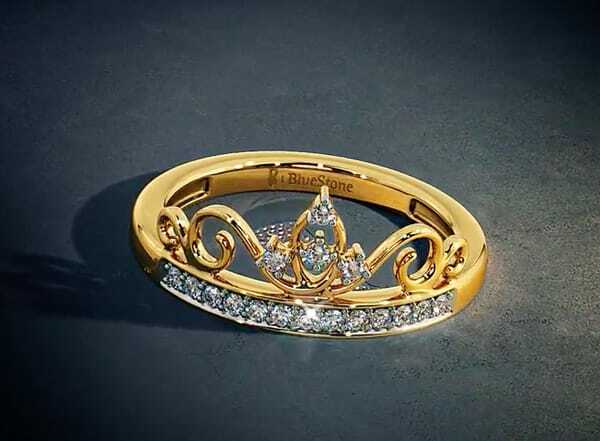 In India, most jewellery stores have the option of customized jewellery. Buying customized jewellery for a woman that is close to you is a great idea. It will be a personalized gift and special to her. Buying customized jewellery requires a lot of groundwork. You need to find out about her likes, dislikes, favourite metal, colour, etc. The best way to do this is to ask her cryptic questions, if you feel she’s getting to know about your gifting idea, switch plans and ask these questions to her mother, sister, or close friend. Aradhana is a Lifestyle and Fashion blogger from Delhi, India. She is known for writing articles on various categories like lifestyle, fashion, health, digital marketing, and business. She has more than 100+ publications from reputable sites like She knows, Elephant Journal, Lifehacker and mom junction to her credit.